A large refinery of Eneos locates on Negishi, an indurtrial district in Yokohama. To protect the refinery from fires, Eneos keeps a fleet of fire engines, chemical fire engines and other special vehicles. 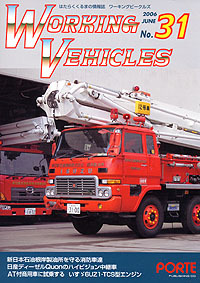 It is the largest fire engine fleet owned by a private company. A TV broadcasting vehicle on Nissan Diesel Quon chassis, a new generation heavy truck with AdBlue / Urea SCR technologies, had introduced last summer. The broadcast equipment for high resolution TV system had been handled by Sony. Allison's automatic transmission experience "Australian Ride & Drive 2006"
GM Allison's event designed to fully experience Allison's automatic transmission was held this March at Australia's Gold Coast. Except for some MT vehicles used as comparison, 27 test vehicles equipped with Allison's AT were on hand.